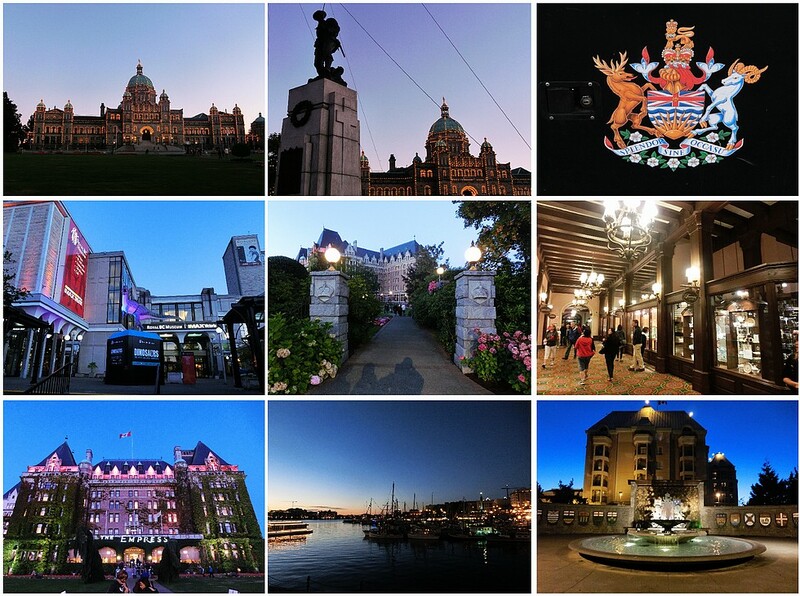 Victoria is the capital of the province of British Columbia, Canada. It is located near the southern tip of Vancouver Island. It is a medium sized and beautiful city, nicknamed the Garden City for Butchart Gardens and much green space. It is also said to lie within the world's most northern Mediterranean climate at a latitude of 48.5 North. 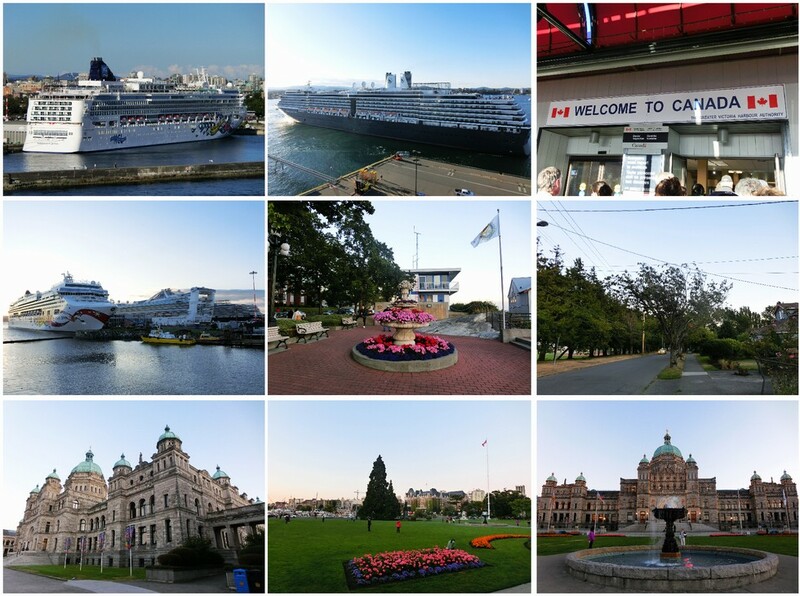 Each year, from April through October, over 200 large cruise ships dock at the Ogden Point cruise ship terminal, with berths for three cruise ships and about 2.5km southwest of the downtown inner harbor, and disembark more than one-third million visitors to the greater Victoria area. Ogden Point is a transit port for cruise ships, typically coming from or going to San Francisco or Seattle, i.e., no cruise ship is home ported at Victoria. To get to downtown Victoria from Ogden Point, cruise ship visitors have many options: take a pleasant 30-minutes walk through the James Bay residential area, hop on ($2.25) the public bus #30 or #31 that runs along Dallas St., use the Cruise Victoria shuttle at the terminal, or hail a taxi/limo lined up at the pier. Beacon Hill Park is the central city's main urban green space. Its area of 75 hectares adjacent to Victoria's southern shore includes numerous playing fields, manicured gardens, exotic species of plants and animals such as wild peacocks, a petting zoo, and views of the Strait of Juan de Fuca and the Olympic mountain range. The sport of cricket has been played in Beacon Hill Park since the mid-nineteenth century. Each summer, the City of Victoria presents dozens of concerts at the Cameron Band Shell in Beacon Hill Park. In the heart of downtown are the British Columbia Parliament Buildings, The Empress Hotel, Victoria Police Department Station Museum, the gothic Christ Church Cathedral, and the Royal British Columbia Museum/IMAX National Geographic Theatre, with large exhibits on local Aboriginal peoples, natural history, and modern history, along with travelling international exhibits. In addition, the heart of downtown also has the Emily Carr House, Victoria Bug Zoo, Market Square and the Pacific Undersea Gardens, which showcases marine life of British Columbia. The oldest (and most intact) Chinatown in Canada is located within downtown.